HOOD RIVER, Ore. – To sleep and dine in the historic Columbia Gorge Hotel in Hood River, is to enjoy firsthand one of the world’s most romantic hotels. Once called the Waldorf of the West, its former guest list reads like a who’s who including such notables as presidents Coolidge and Roosevelt, actress Clara Bow and legendary heart throbs Rudolph Valentino and Clark Gable. 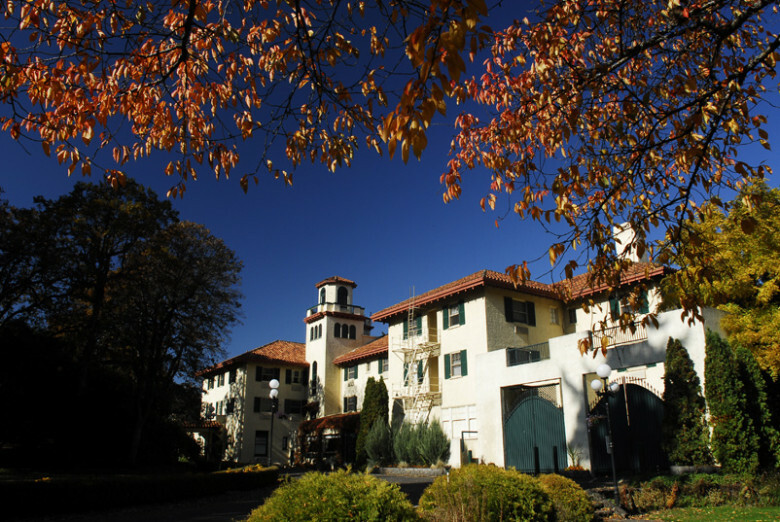 So, for those who love this gem-among-gems in the National Register of Historic Places and those who have yet to experience it for the first time, the good news is that the Columbia Gorge Hotel has reopened. Visible from I-84 as you enter Hood River from the west, the Spanish-style hotel stands at the point on the cliff where the old Wah Gwin Gwin Hotel built in 1904 once stood. The hotel was built by timber tycoon and lumber magnate Simon Benson (also a patron of the Columbia Gorge Scenic Highway). 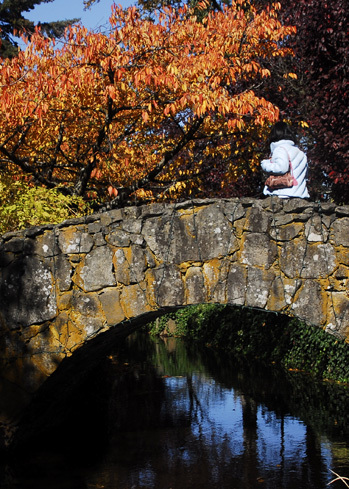 Easily viewable from the hotel’s beautifully manicured gardens are the falls that drop 208 feet from Phelps Creek to the Columbia River below. Wah Gwin Gwin is Native American dialect meaning rushing tumbling waters. Though the five-course breakfast is no longer an option, fresh baked huckleberry scones with Honey From The Sky, griddled venison hash with poached duck eggs and fire grilled huckleberry elk sausage are specialties that make up for it. Skilled in creating dishes historically associated with the Gorge, Chef Mat Grimsley’s specialties include Charred Sturgeon Fillet, Zinfandel and Juniper Scented Denver Leg of Venison and Dry Aged Painted Hills Filet Mignon. In addition to dining in the restaurant, light fare (including The Big Gorge Buffalo Burger) is available from 11 a.m. to 9 p.m. in the Valentino Lounge. Taffin, a 26-year veteran of Red Lion Hotels, is looking forward to the busy holiday season coming up. For more information, contact Columbia Gorge Hotel at 541-386-5566 or visit www.columbiagorgehotel.com. Blather the Bat Helps Save Her Cousins….